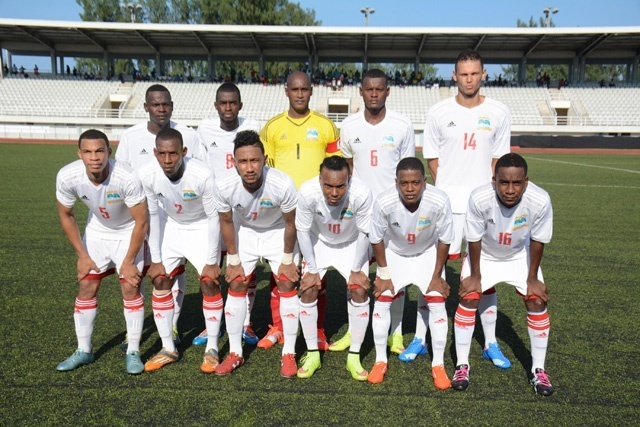 (Seychelles News Agency) - The Seychelles' men's national football team will face Libya in its second leg qualification match of the Africa Cup of Nations (AFCON2019) on Saturday at Stad Linite on the main island of Mahe. Although the Seychelles’ side is not a contender for a spot at the 24-nation finals, the players will be giving their best, coach Gavin Jeanne told SNA on Friday. “We always aim for a win when we face our opponents, no matter which team we face, but sometimes not everything goes your way. We have to take into account that we lost 5-1 in our away match,” said Jeanne. The side from Seychelles, an archipelago in the western Indian Ocean, is in group E, which is being led by Nigeria with 9 points followed by South Africa with 8 points. The Nigerian Super Eagles will seal qualification to AFCON 2019 with a win or a draw against South Africa on Saturday. A total of 51 teams entered the tournament, including the host -- Cameroon -- which qualified automatically for the final in 2019. Only 24 teams including Cameroon will qualify to play in the final.